I was trying to think of a recipe for an appetizer/dip that was a little bit more “healthy” and fresh than the ones I usually make. I remembered a friend making “Cowboy Caviar” at a BBQ one time so I did a little research. 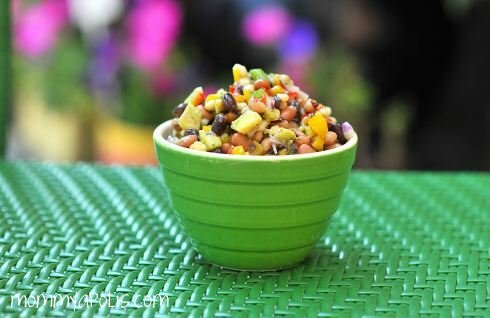 I found tons and tons of recipes online for cowboy caviar and no two were alike. I decided to combine a couple, add some of my favorite ingredients and see what happened. I made enough to feed an army, had I had one over it would have been gone, it was yummy! 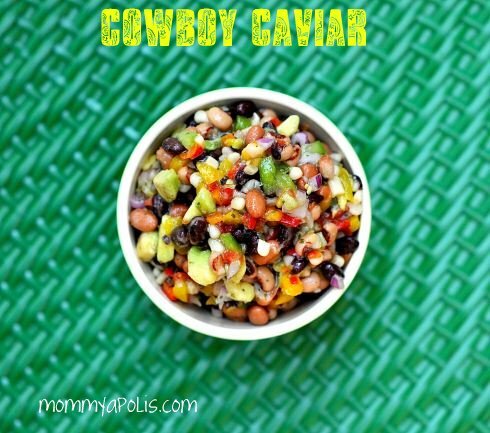 Here’s my recipe for Cowboy Caviar… Make it for your Labor Day BBQ, it really was a hit! Drain and rinse all ingredients. Toss in LARGE bowl. Love this – it sounds so great!!! Going to try it very soon.